Scottish distillers may be the undisputed masters of the peat fire, but there are plenty of plucky distillers across the world making their own smoky creations, and with interesting and varied results. MoM invites you to drink outside the box with eight peat-smoked spirits that most definitely aren’t Scotch whisky. Considering peat is literally a mix of decaying moss, shrubs, grasses, tree roots, dead animals and soil that has become compacted over thousands of years, it can be used to make various boozes pretty damn tasty. You don’t need to descend on Scotland to source a little peat smoke for your spirits. Indeed, peatlands have been identified in at least 175 countries and make up 3% of the entire world’s land space (that’s 1.5 million square miles, FYI). Reel off classic Speyside distilleries and William Grant & Sons’ Balvenie will be near the top of the list. Honeyed with a gamut of stewed fruit and toffee, the brand’s single malts embody the classic Scotch region, the signature profile even shining through the [many] experimental, delicious cask finishes often employed. So imagine our excitement when we learned not one but two peated* Balvenie expressions were set to join the line-up – this was going to be The Balvenie as we’d never tasted it before. And behold! Just days later we were treated to some samples: Balvenie Peat Week Aged 14 Years (2002 Vintage) and Balvenie Peated Triple Cask Aged 14 Years were in the building in a particularly shiny press pack. 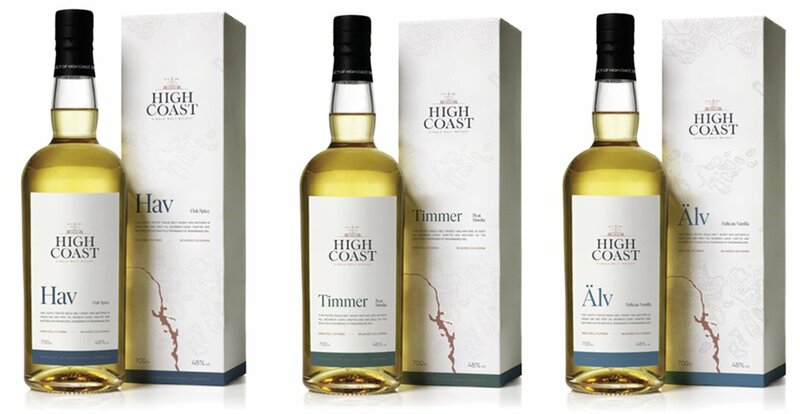 Peat Week, matured in 100% American oak casks, will roll out next month (the lucky few are officially the US, UK, Denmark and Sweden), while Peated Triple Cask (first-fill ex-bourbon, refill ex-bourbon and ex-sherry) debuted in travel retail earlier this summer. Both expressions are non-chill filtered and bottled at 48.3% – so far, so intriguing. Both are billed as the results of “experiments” by David Stewart MBE, Balvenie malt master, and Ian Millar, William Grant’s prestige whiskies specialist (and formerly Glenfiddich and Balvenie distillery manager). And after tasting the new liquid (read on for our verdict) we had questions. Lots of questions. It was time to get someone from the distillery on the blower. That Boutique-y Whisky Company has announced that they’re introducing age statements to all future releases with immediate effect and, right on cue, they have a raft of new and exciting releases on the way! All the new releases are listed below and are also available to buy or pre-order from Master of Malt now. Our English Whisky Co. Single Cask Bottlings & an Interview with Andrew Nelstrop! 1 Comment on Our English Whisky Co. Single Cask Bottlings & an Interview with Andrew Nelstrop! Long time readers of the Master of Malt Blog will know that we visited the home of the English Whisky Company in Norfolk all the way back in 2009 – over 6 years ago! Ben had a look around the awesome St. George’s Distillery, saw a dog and definitely didn’t get told off by a colleague for having to be physically dragged away from their cask storage containers.